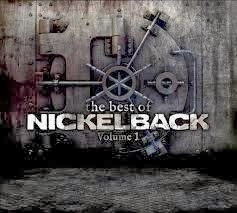 I’ll bet you thought the band Nickelback was just a rock group. You couldn’t be more wrong. They and other artists are actually dealing out writing lessons on the side. Genius advice for those keen enough to paying attention! Proof number one from the song HERO by Chad Kroeger of Nickelback. You might remember this from the first Spiderman movie, but it goes so much further. It’s actually a subliminal reminder. They say that a hero can save us. What is this but a clue that your MC cannot be passive. The MC has to jump in there and get their hands dirty. They have to make decisions and take charge, even if they fail. Never let your MC wait for a hero, they have to be the hero. This song is an ode to avoiding passive characters! Next proof of the genius of Nickelback, the song BURN IT TO THE GROUND. Is this an innocent go out and get drunk and cause trouble song or something more? While we burn it to the ground tonight. Perhaps it means a little bit more. There are even TWO hints in this song. Taken from the point of view of a character could it mean that they have to keep moving? That letting your characters sit around and plot/plan/talk is not a great idea. (I know this because it’s what happened in my first manuscript.) Characters have to act and do things. But it could also be saying that we can’t coddle our MC? What if you take this song from the writer’s point of view? Then it seems like it’s saying an MC should have to suffer. That everything around them should be burning to the ground and falling around their ears. That as the author it’s our job to make our character’s world fall apart physically and emotionally! Let’s consider the song, IF TODAY WAS YOUR LAST DAY. Obviously this is a song about living life to the fullest. But does that apply to writing? So live like you’ll never live it twice. The only thing harder than becoming a successful rock band is becoming a published writer. It’s a fight that you have to give your all. And not only is there a lesson in there about never giving up on your writing journey, there is something more—something deeper. Against the grain should be a way of life? Again writing genius. What could this be but a reference to putting the unexpected into your writing! Don’t do what the reader is expecting. Take a twist, take a turn, be unique! Do the unforeseen! Pure genius! FAR AWAY is beautiful love song with something to teach us. This seems to be about getting back the person you love. But maybe it’s more—maybe it’s a lesson on dialogue. Looking closer isn’t it showing that people don’t speak in complete grammatical sentences? That people take short cuts when they speak. That they use contractions and drop words. Brilliant! These lessons could go on and on. SAVIN’ ME has more to teach us. Anybody want to make a guess on this one? Simple isn’t it, but understated genius as always. I’ll leave this life behind me! 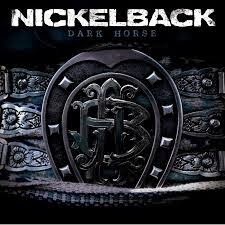 Here Nickelback is warning us that a MC must have a character arc. They must change and leave their old bad habits behind to become a stronger, smarter, nicer character! The point of a story is to change the MC and make them undergo a transformation. 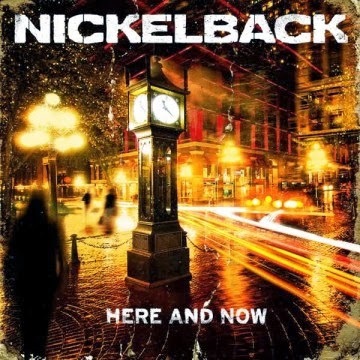 Here Nickelback runs the gamut of the writer journey by capturing the true spirit of the querying writer as they search for an agent. An agent that will take your life (story) in their hands. Like inspiration, lessons can come from some very unexpected places. Do you find inspiration and lessons in your favorite music? Share a little of it in the comments. Yes, I totally find inspiration in music. Not always the right inspiration, but I spend more time than I'd care to admit working on my play lists for my characters. However, if we're talking about the straight up inspiration for writing, I like this one for reminding me that the journey may be long, but the dream is bigger. Thanks for sharing, Rena. That was beautiful! I totally relate to this. Matter of fact, it wasn't until about a year after I finished my first novel that I realized that it had been inspired by a line from a Muse song. It blows my mind that 10 little words can set imagination free. Now I have to know...what song??? I get a of inspiration from church hymns & James Blunt. Kind of a strange combination, but it works. It's good to mix it up. Sounds very inspirational!